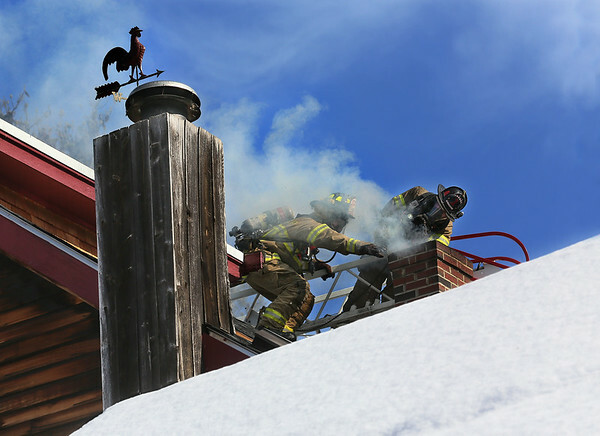 Gloucester fire Lt. Kevin Gargan, left, and firefighter David Osier work together to put out a chimney fire Monday at 5 Old Bray Street in West Gloucester. Firefighters lowered a chain into the chimney to scrape out the burning creosote. The house, owned by Kent Ellis, was otherwise undamaged.